That was Electric Light Orchestra singing a song about a man wishing his love would just pick up the phone. 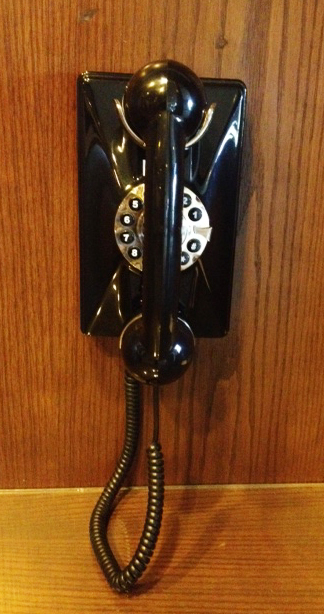 Back then, it was probably a phone that looked a lot like this one at the Grove Park Inn in Asheville, North Carolina. I miss old-school telephones. I miss them at airports and in booths along the street. Sure, I use an iPhone. But I don’t enjoy chatting on end on a mobile device. I used to do that with a regular phone, one that was attached with its own umbilical cord to the earth. To quote ELO again (what’s come over me? ): “I just can’t believe … They’ve all faded out of view yeah yeah yeah yeah yeah. Doowop dooby doo doowop doowah doolang.